The beefy, bespectacled inventor was in shirt-sleeves, thrashing out a design problem with one of his Learjet engineers. The engineer wanted something done one way. Lear wanted it done another. The argument heated up until a boiling-mad Lear roared: "You put up 50 percent of the money, you make 50 percent of the decisions." They did it Bill Lear's way. Of course. "He was a bright, energetic, hard-working leader," says Fran Jabara, a former paid consultant to Lear and now director of Wichita State University's Center for Entrepreneurship. "To some he was controversial, but to me he was a perfect example of an entrepreneur. He had many ideas. Some worked, some didn't," Jabara said. "He was always optimistic, sometimes unrealistically so, but most of the time he was on target. He was fully committed to his projects." Bill Lear is best known for designing and building the Learjet - the world's first cheap, fast mass-produced business jet - at a factory he started in Wichita in 1962. The company now is Gates Learjet Corp. But Lear, who had only an eighth-grade education, also held more than 150 patents. He is credited with inventing the car radio, the eight-track stereo tape player and cartridges, the autopilot for jet aircraft, the navigational radio, and the radio direction-finder for general aviation aircraft. To his admirers, Lear was a creative genius possessed of exceptional business courage. To his enemies, he was a hot-headed dictator determined to get his way. "I found Bill to be very demanding but also a very warm person to work for," said Don Grommesh, vice president of research and engineering at Gates Learjet, who began working for Lear in 1962. "He had a way about him that caused people to get things done. I think that was one reason for the success of Learjet." John Zimmerman, aviation writer for The Wichita Eagle and the Beacon during the 1960s and now president of Aviation Data Service Inc. in Wichita, said people in aviation would "like Bill one minute and hate the ground he walked on the next." "Working for Bill was very, very difficult," Zimmerman said. "He surrounded himself with good people, but it was not an easy life. "Bill's mind raced at an incredible speed all the time. Bill was a creative-marketing-type individual. He was tinkerer. He was always wanting to improve the product: reduce the weight, double the speed, cut the cost in half." "There are two kinds of inventors. There is the inventor who just likes to be clever and come up with a new idea. And there is the inventor who realizes there is a need and tries to fill it. I have spent my whole life discovering needs and then finding ways to fulfill them." - Bill Lear, 1972. William Powell Lear was born June 26, 1902, in Hannibal, Mo. He was an only child; his parents separated when he was 6. "I resolved first to make enough money so I'd never be stopped from finishing anything," Lear said later. "Second, that to accumulate money in a hurry - and I was in a hurry - I'd have to invent something that people wanted, and third that if I ever was going to stand on my own feet, I'd have to leave home." He ran away from home after graduating from the eighth grade. He lied about his age and joined the Navy but didn't like regimentation and got an early discharge. In 1919, Lear quit a $40-a-week job to be a mechanic at Grant Park Airport in Chicago, servicing many of the first air-mail planes. He was rewarded with flying lessons in place of a paycheck. Lear then formed the first of a string of companies. He was president of Quincy Radio Laboratory in Quincy, Ill., from 1922 to 1924; president of Lear Radio Laboratory in Tulsa from 1924 to 1928; and part-owner of Radio Coil and Wire Co. and Galvin Manufacturing Co., both of Chicago, from 1926 to 1930. About this time, Lear developed the first car radio at Galvin, which was to become the Motorola Corp. Motorola successfully mass-produced the car radio. In 1930, Lear took his profits and founded Lear Developments, which became Lear Inc. and later Lear Siegler Inc. The companies specialized in aerospace instruments and electronics. Some have called Lear's 32 years as president and later chairman of the board his most creative time. In 1935, Lear invented the Lear-O-Scope, one of the first commercial radio compasses. He received the Frank M. Hawks Award for designing the Learmatic Navigator in 1940. In 1950, President Harry Truman gave Lear the Collier Trophy for development of the F-5 autopilot, the first ever for jets. The city of Paris presented Lear its Great Silver Medal for his aid in developing the autopilot for the Caravelle jetliner in 1962. By 1962, his company, headquartered in Santa Monica, Calif., had 5,000 employees and plants in California, Germany, Michigan and Ohio. But Lear and company officials had a falling-out and that year Lear sold his interests for $14.3 million. 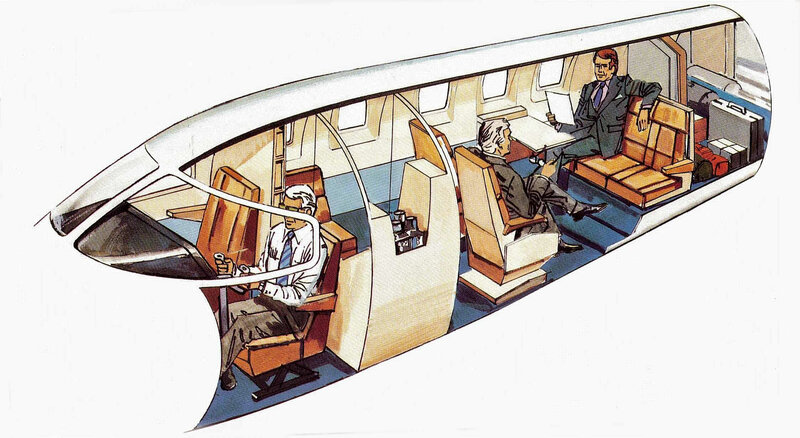 Lear had come up with the idea of building a small, fast and cheap business jet in 1959. Now, with 30 years of experience and cash in the bank, he had the money and freedom to go ahead with his newest dream. 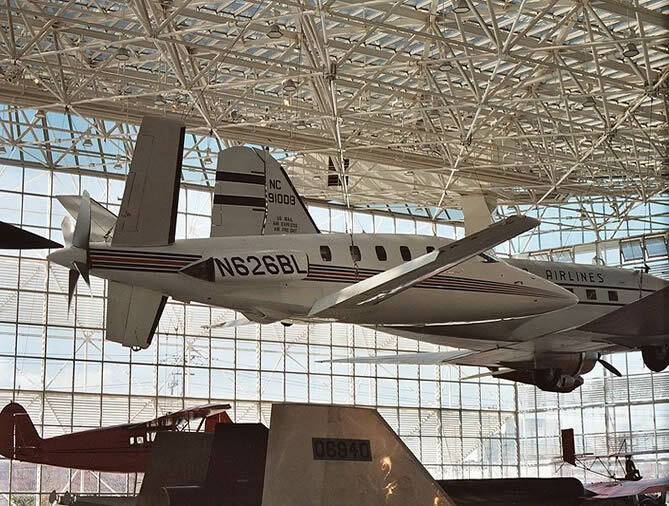 "When I designed the Learjet, I didn't design it because I wanted to make a jet aircraft but because I needed an airplane that would compete with the airlines and would be economical enough that I could afford to operate it." Lear formed a company in Switzerland and began working on the design of the Learjet there. Then he surprised nearly everyone by deciding in 1962 to build the new Learjet in Wichita. The city agreed to help finance Learjet Corp. and issued its first-ever industrial revenue bonds. Lear set up shop next to Wichita Mid-Continent Airport and began working on the first Learjet Model 23, a simple, sturdy seven-place business jet that would fly 500 mph. On June 4, 1964, during a routine certification flight, the first Learjet crashed and burned in a cornfield after takeoff. The Federal Aviation Agency test pilot at the controls and the Learjet test pilot riding along weren't injured in the crash, believed to have been caused by human error. The good news was that the $500,000 insurance policy on the plane enabled the company to make its payroll and gave it financial breathing room. Another Learjet was completed and certified by the FAA just nine months after the crash. One of Lear's favorite sayings was "Publicity is good, no matter how bad," said Alex Kvassay, a former vice president for international marketing for Lear. "He was a character, my God, he was really a character," Kvassay said, chuckling. "He was a man of many great ideas. Basically, I would call him an inventor, always tinkering with ideas and always thinking up new projects. "I heard him say over and over: 'The secret of success is really hard work. It won't happen by itself.' "
"Lear has always been a man with an inexhaustible supply of internal fuel. . . . During the 1930s and 1940s he was a part-time and enthusiastic participant in New York's night life, and his table at the Stork Club (which he called "my night office") became the after-theatre rendezvous for show people, mostly female." - Fortune, July 1965. Lear married four times, the last time to Moya Olsen Lear, who now runs Lear's remaining businesses and is the mother of four of his seven children. "Despite Lear's well-known womanizing, they stayed married for 36 years," Time magazine said in 1980. Business associates confirmed Lear's indiscretions. From 1962 to 1967 - except for a short time in California - the Lears lived at 2 West Parkway North on a 12-acre tract in Wichita. They also had two homes in California, two in Switzerland one in Greece and one in Sardinia. Lear had an odd sense of humor and willingness to try the extraordinary; he once imported a team of midgets from Californa to work inside the slender fuselages of the first Learjets built in Wichita. "If it takes midgets, that's what we'll use," he explained. Lear even had a bit part in "In Like Flint," a 1967 movie starring James Coburn. He played a guy who looked after Coburn's Learjet. His single line: "The ashtrays were full so I got you a new airplane, Mr. Flint." "I can't do my kind of creating by sitting in a room with a piece of paper. My kind of inventing can only be done when I am surrounded by a lot of people with a lot of know-how. . . . I always keep the goal in mind and I insist on solving the problem with the least cost." - Bill Lear, 1972. But by late 1966, hard work and devoted employees weren't enough. 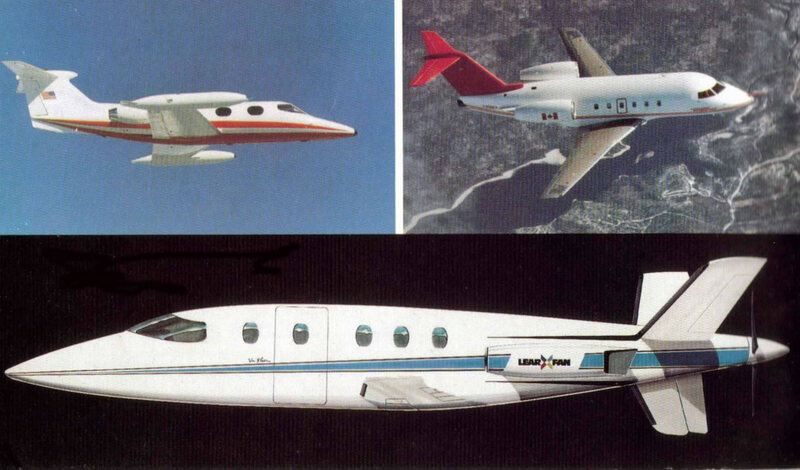 Learjet was on the verge of bankruptcy, partly because Lear had branched out too fast into avionics and stereo sets and plastic products. 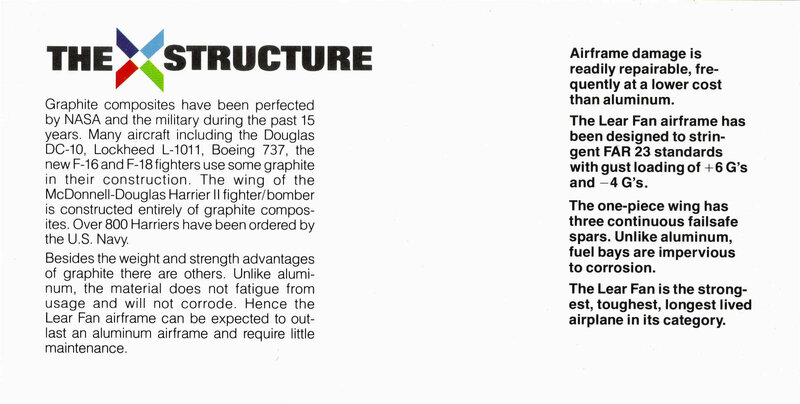 The company had built 146 Learjets before Lear sold it to the Denver- based Gates Rubber Co. on April 10, 1967. Although Learjet was about $13 million in debt at the time of the sale, Lear eventually made about $18 million from the sale. Kvassay said that inventors don't always have the best business sense. "I don't want to say anything critical about Bill Lear," Kvassay said. "But the great creative minds can't be bothered with withholding taxes and investment credits and all this crap." Gates Learjet's airplane manufacturing facilities now are in Tucson; the Wichita plant works on aerospace development. 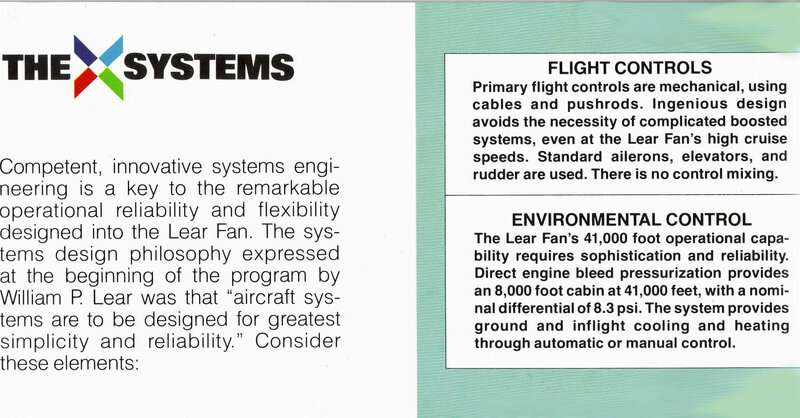 In 1968, Lear bought the old Stead Air Force Base at Reno, Nev., for $1.3 million and established Lear Motors Corp. and LearAvia Corp. 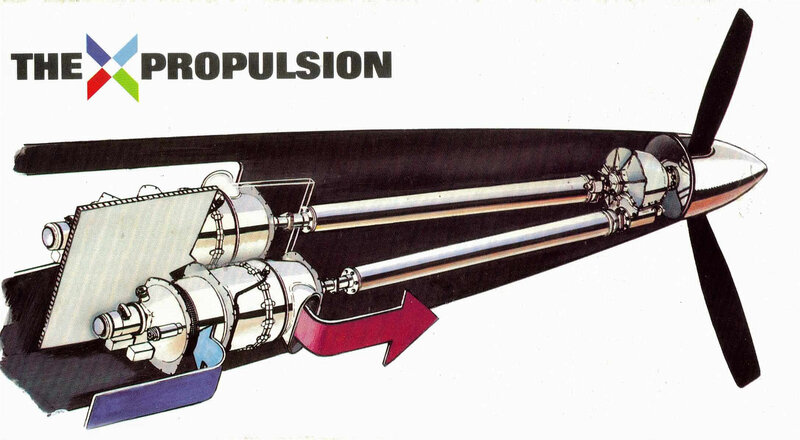 There Lear worked on a low-pollution engine that could run on steam, hoping to make the internal combustion engine obsolete. The project fizzled. Returning to aviation, he designed the Learstar 600, a 12-place business jet. Canadair bought the manufacturing rights and renamed it the Challenger. 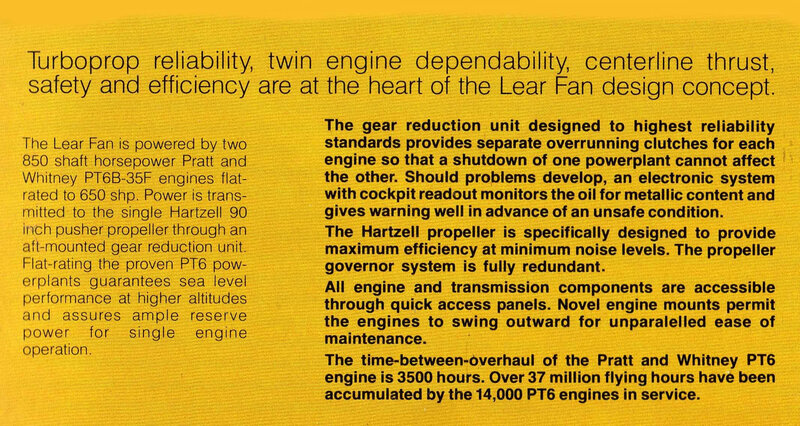 Lear was working on the Model 2100 Learfan, a radical seven-passenger plane with two turboprop engines powering a propeller on the tail, when he died of leukemia May 14, 1978. At the time of his death, Lear's personal fortune was estimated at $75 million. Moya Lear now runs LearAvia, Leareno and is on the board of directors of Lear Fan. 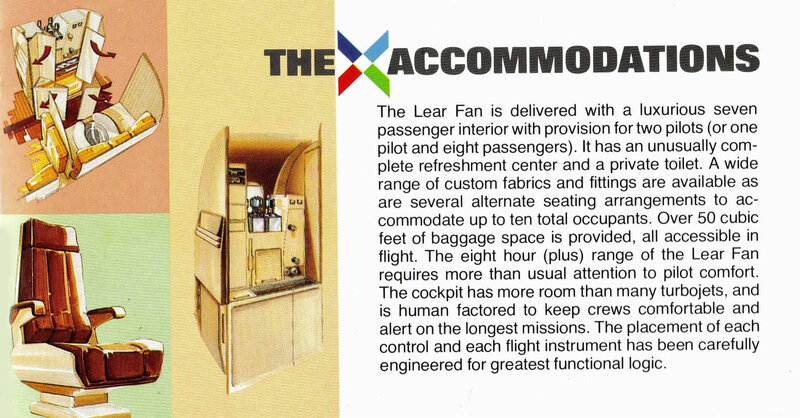 Lear was posthumously inducted into the Aviation Hall of Fame in Dayton, Ohio, on July 22, 1978. "He was one of those - how do you say it? - they threw away the mold," Kvassay said. "He was one of those pioneers who no longer exist. 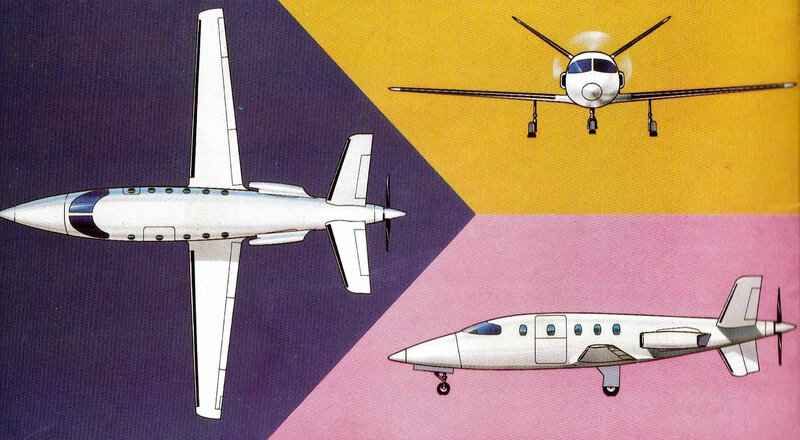 Cessna, Beech, Lear - they were not great businessmen, but they were great creators. "This individual, the unique character, is gone. The age of the creators is over and to me Bill Lear was one of the last and one of the greatest."